'Chocolate, It's Not Just for Breakfast Anymore. Sweet Bites of Innovative Sales Advice' is a high-energy, motivational keynote program designed to empower sales executives to create lasting results and success in their quest for developing new business. Advice on how to develop case studies and leverage existing customers to build new business. Recommendations on how to create the Ideal Customer Profile in order to clean up the pipeline and focus on real opportunities. 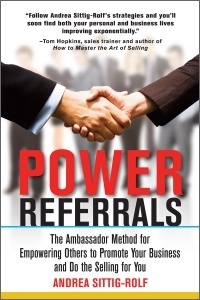 Information on how to practice networking strategies that garner actual sales results. 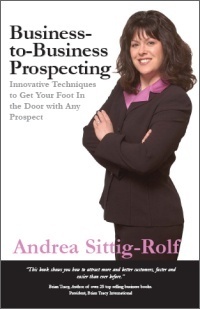 Andrea Sittig-Rolf, CSP delivers an informative, entertaining, and inspiring speech for your organization. Designed to be interactive, Andrea captivates her audience with a little help from some fun props, as well as, you guessed it...chocolate! Unlike anything you've ever seen, this keynote is truly an experience to remember! Andrea likes to move through the audience while she speaks so a hand-held cordless or lapel microphone is best, although depending on the room and size of the group, a microphone may not be needed at all. She is also quite animated and will need an elevated stage, at least 10' X 10', and a table for props. A podium is requested as well. A small table (for projector) and screen are also required, as well as a power-strip for laptop and projector. To request Andrea speak at your event, click here info@blitzmasters.com. Please be sure to include the name, date, theme and location of your event as well as your contact information. Thank you. The ambassador relationship is the ultimate relationship in sales. Consider the other possible relationships you may have with your customers. In the beginning of the sales process, you are a seller - one of many competing for the business of your prospect. Then, after winning the business, you become a supplier - one of many who sell the same products and services you offer to your customer. Next, you become a vendor - one of a few who sell the same products and services to your customer. Then, if you become a partner to your customer, you are the only one who provides your particular products and services to your customer. Finally, the ambassador relationship is such that not only is your customer a partner, he is so impressed with you and the services you provide, he promotes you and your business to other potential customers, even without you present. The purpose of this workshop is to offer proven strategies to win ambassadors, also known as champions, advocates, or influencers, and to empower others to promoteand even sellyour business. From developing your Ideal Ambassador Profile and working with multiple decision makers, to working with vertical markets and channels, as well as winning ambassadors in the press, these ideas will help you sell more in less time than you ever thought possible. I'll not only included examples of how these strategies have worked in my own business, but also provided step-by-step guidance as to how you can apply them to your business as well. What are the essentials of setting quality sales appointments? How do you prepare to make your calls? What are the compelling questions to ask and statements to make? How can you leverage voicemail and e-mail as powerful appointment setting tools? What is the Aha! Formula and how can it help you overcome common objections when scheduling appointments? How can you track and measure your sales results to avoid the common peaks and valleys of the sales process? 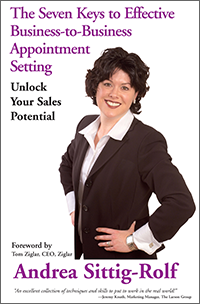 These are the questions Andrea Sittig-Rolf, founder of BlitzMasters and author of The Seven Keys to Effective Business-to-Business Appointment Setting: Unlock Your Sales Potential, will answer during this workshop. If there is one thing you could improve upon regarding your role as a sales professional, what would it be? Find more opportunities? Close more deals? Make more money? I would estimate that what you care about most is the end result of your sales activity - the close. Funny thing is that the very first phase of the sales process - the prospecting phase - often has the most impact on the last phase of the sales process, the closing phase. Therefore when analyzing your sales pipeline, you will find a direct correlation between the quality of your prospects and the quantity of your sales. Creating your ICP - (Ideal Client Profile) allowing you to become focused on real opportunities. Writing compelling case studies to showcase the results you've created for current customers as a powerful tool to attract new customers. Bestow Networking - Giving first to get quality leads and referrals. 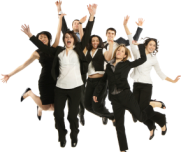 Winning ambassadors - Empowering others to promote your business and do the selling for you. Writing powerful proposals - Proving the return-on-investment of your solution. Join us for 'Business-to-Business Prospecting: Innovative Techniques to Get Your Foot in the Door with Any Prospect' and learn how to fill your pipeline with new opportunities!